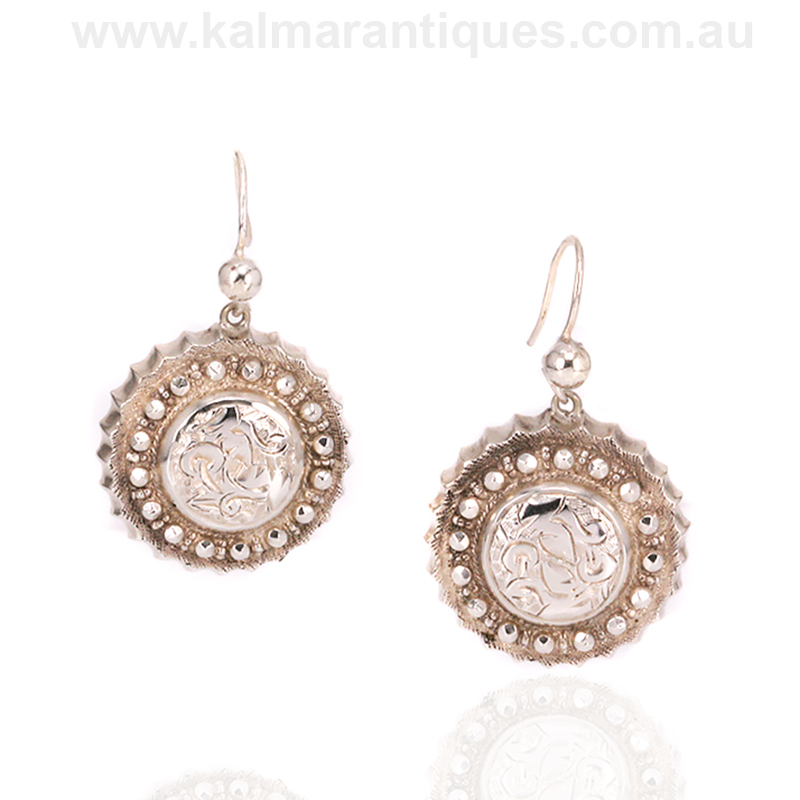 Product code: ES6495 Categories: Antique, Antique Earrings, Silver & Silver Plate. Perfect for day or night, these antique sterling silver earrings from the Victorian era sit perfectly below the earlobe and feel so comfortable to wear day or night. Each earring measures 17.5mm in diameter and fitted on shepherd hooks that are nice and long and therefore very secure to stay without concern for them falling out. With a lovely hand engraved section in the middle, these earrings would date from the late-1800’s and typical of the work produced during this time. So elegant and refined, these are a lovely pair of antique sterling silver earrings that are perfect for any occasion.